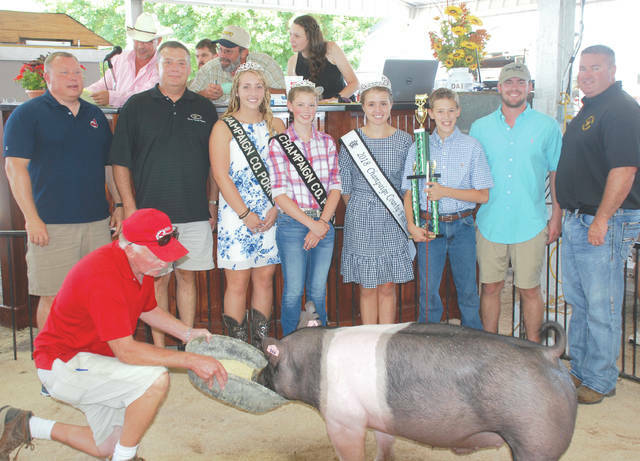 Sara Hess’s Reserve Champion Scramble Hog was sold to a syndicate for nearly $10,000 to help fund a memorial scholarship. 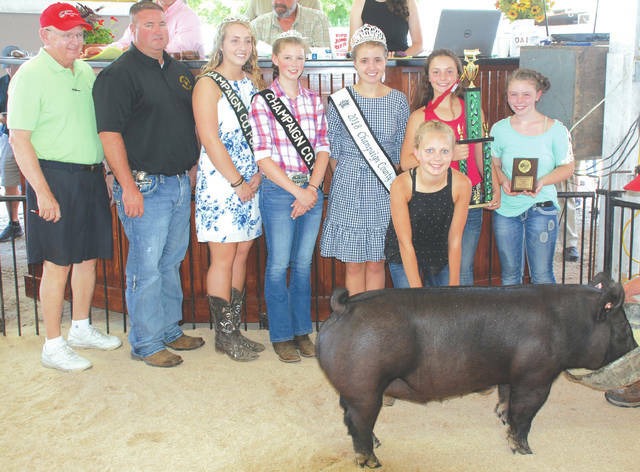 Myah Bandy’s Reserve Champion Lean Gain Performance hog was sold to Perpetual Federal and Sheriff Mat Melvin for $450. 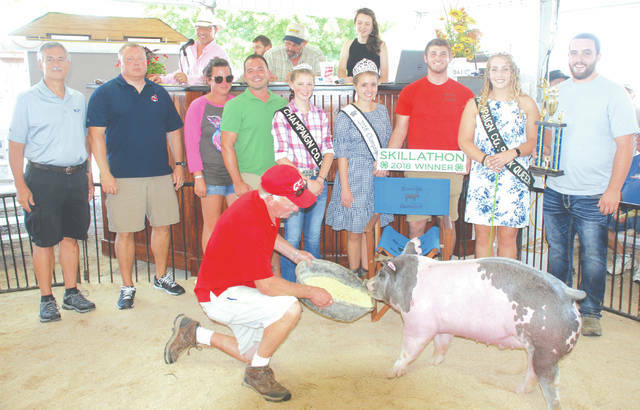 Miranda Lauchard’s Pork Queen was sold to a syndicate for $550. 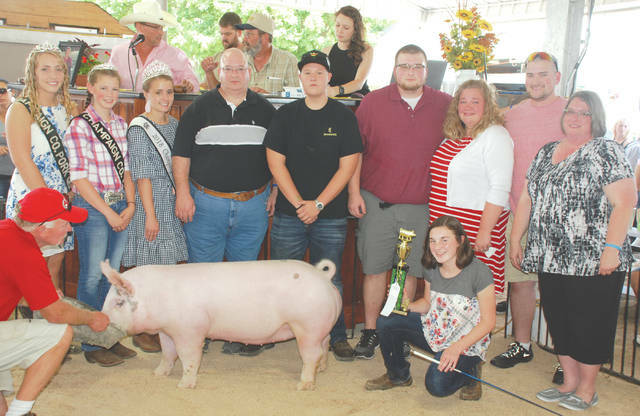 George Garri Prosser’s Champion Lean Gain Performance hog was sold to a syndicate for $625.